The ring shown above is called the Marty 2. We call this type of ring a halo ring because it has one center gemstone and a band that is also pave set with gemstones. The 14 Carat white gold engagement ring is set with a round 1.00 crt diamond center stone and the band is pave set with diamonds. What makes this exclusive white gold halo ring special are the smaller sized stones embracing the center stone. This gorgeous engagement ring is called a halo ring because the smaller gemstones give the center stone a halo of surrounding light. In order for the smaller stones to enhance the center stone, they have to be placed so there is no interference of light. And that's when our expert goldsmiths come in. Each individual stone is carefully set in the ring by hand. During manufacturing, light fall is constantly monitored to make sure the special halo is still visible. In the end you get a unique engagement ring, with a diamond of your choosing at its centre. 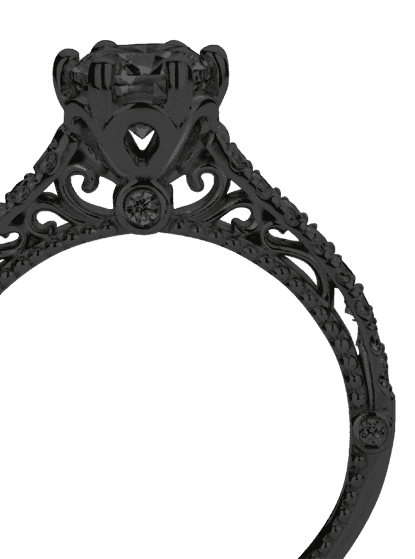 You can imagine the effect of a ring of such significance when you give it to her on her special day to shine. 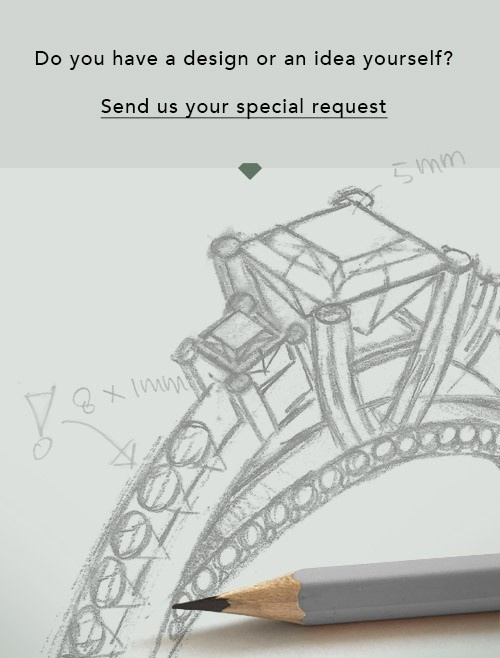 After receiving your order, our goldsmiths will start the creative process of making your Marty 2 engagement ring. We don't keep stock. This is advantageous because these costs will not be passed on to you. Therefore, we can offer jewelry at exceptionally low prices.